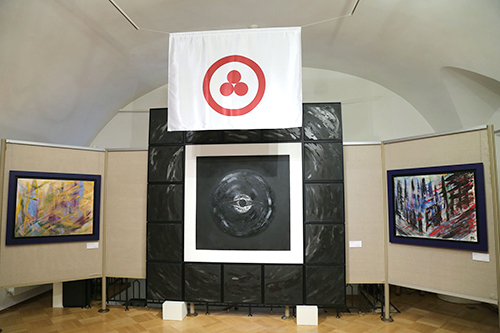 “The Opening of the Gates of Heaven” exhibition of the artist Irina Machitski opened on February 3, 2016 at the International Centre of the Roerichs. The exhibition is a path from Truth to Eternal Truth – such are the titles of two of the paintings on display. To put it slightly differently: it is the path from “man in perfect harmony with himself” to “absolute knowledge that remains eternal”. The current exhibition should not be considered solely a retrospective one. For both the artist and viewers it is more like an attempt to re-conceive and reveal new meanings nurtured by new life experience – artistic, aesthetic and spiritual – gained in the years that have passed, as indicated in the title of the exhibition: The Opening of the Gates of Heaven. President of GRANY Foundation, Co-founder and Publisher of Tretyakov Gallery Magazine, artist. 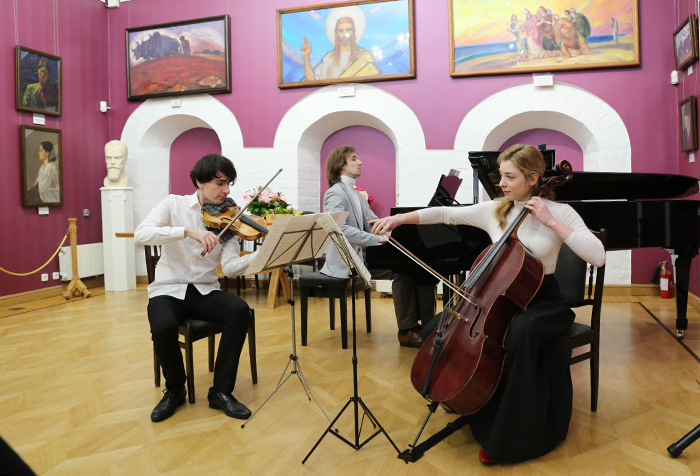 The opening of the exhibition was celebrated with a concert.